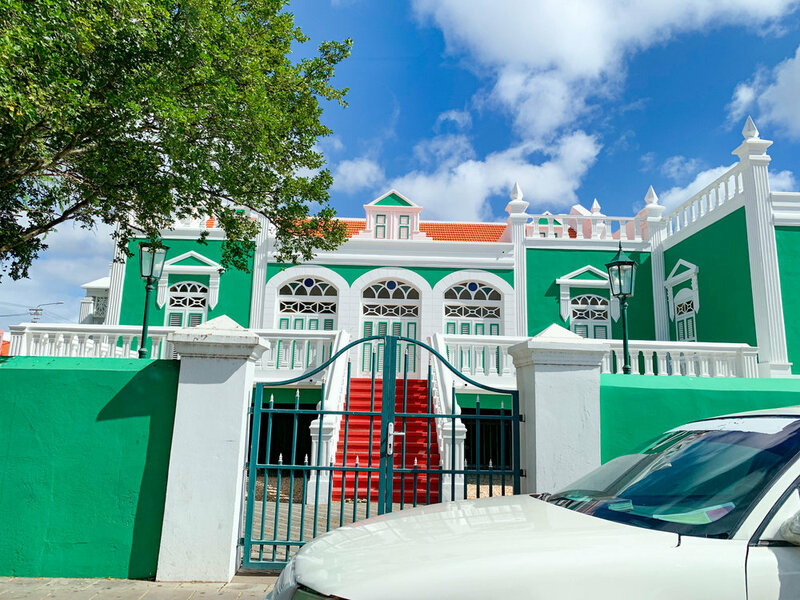 How to spend your days on One Happy Island and everything you need to know! This blog uses affiliate links. If you’d like to purchase a recommended product, please use the link to support this blog. It doesn’t cost you anything extra, it simply allows me to continue creating these posts. Thank you so much for your love and support! 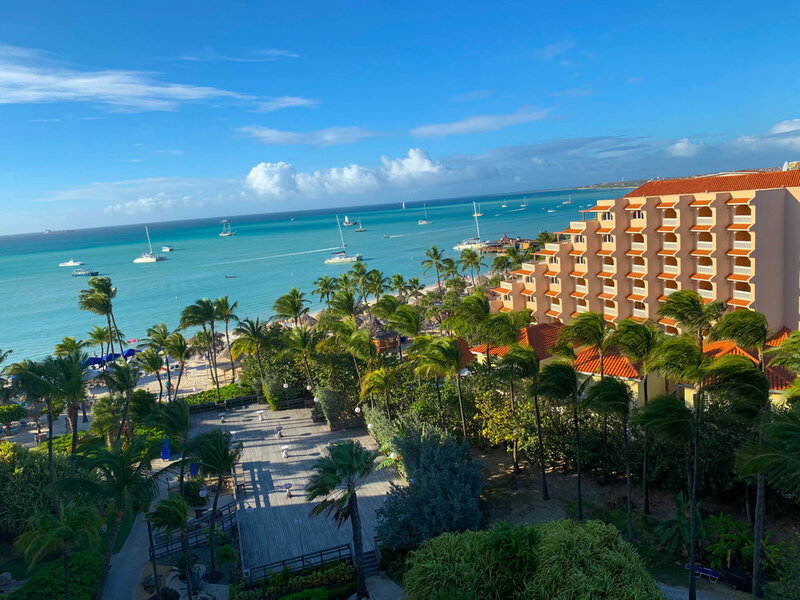 There are some great places to stay in Aruba, with the options of hotels in the Downtown area, hotel row along the beach or Air BnB. We decided to stay in hotels but a few friends we met while diving, were loving their Air BnB’s, but they weren’t right on the beach like we were! Hotel row had every hotel you could think of at all price points (Hyatt, Hilton, Ritz Carlton, Marriott, Holiday Inn) located right on the beach. All of them had casinos and you could walk from one to another. 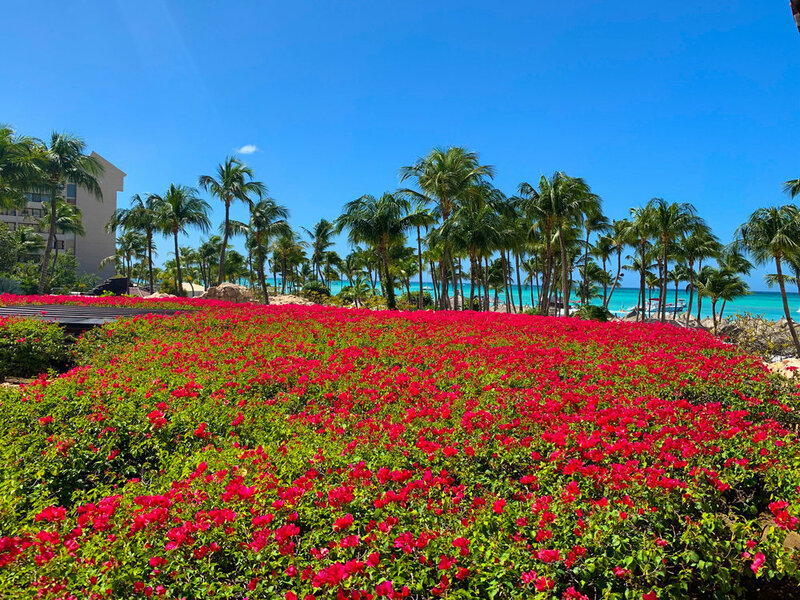 I’m used to Vegas casinos which you cannot compare to Aruba casinos. The casinos played the American dollar with the options of slots in different denominations as well as tables including 3 card poker, black jack, roulette, etc. There wasn’t a fee to enter or anything, and all the casinos seemed to have a players card option. If you play long enough you can get free drinks! On the slots there was an option to order drinks once you hit the threshold. 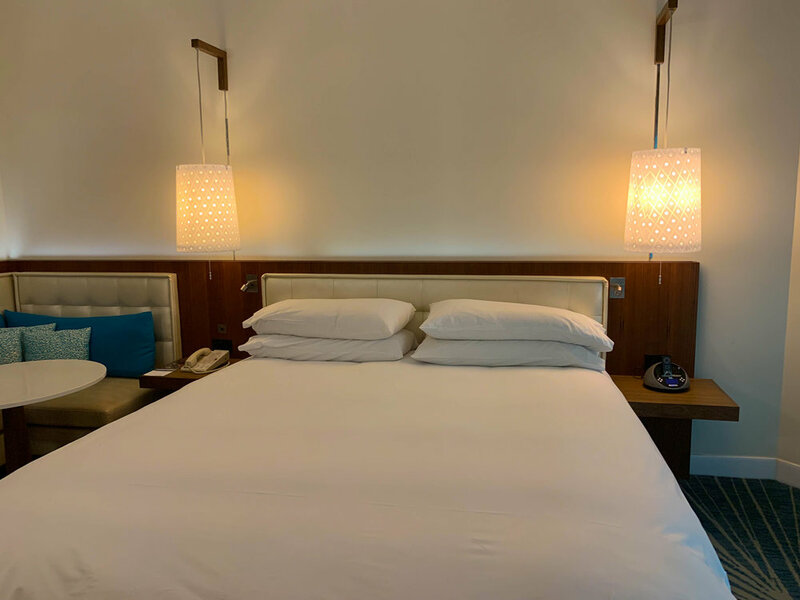 We stayed at the Hyatt Regency Aruba Resort, Spa & Casino! Located mid beach of hotel row, it is the perfect place to spend your days at the beach and is walking distance to almost everything! The rooms were so nice, hard wood floors and super spacious! The pool was huge, complete with a water slide, volleyball net and swim up bar to get your drink on! 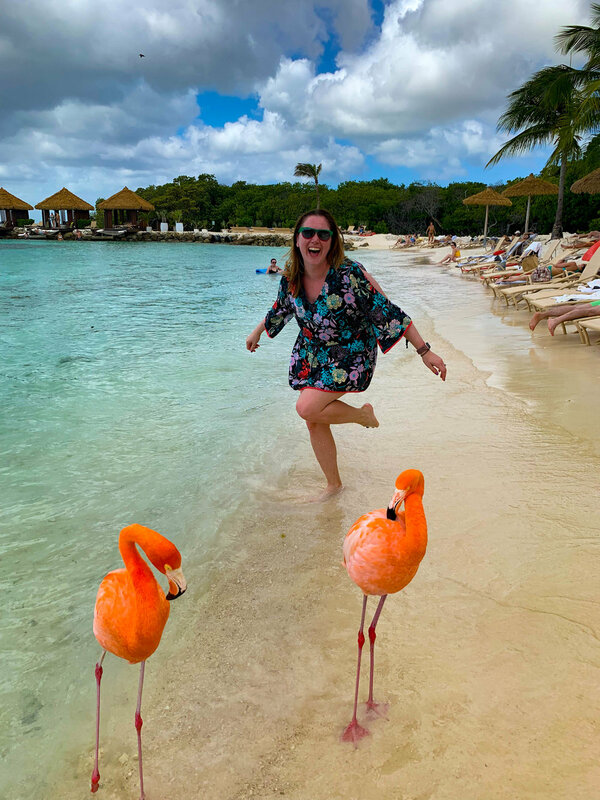 We also stayed at the Renaissance Aruba Resort & Casino so we could visit the flamingos on Renaissance Island’s Flamingo Beach! 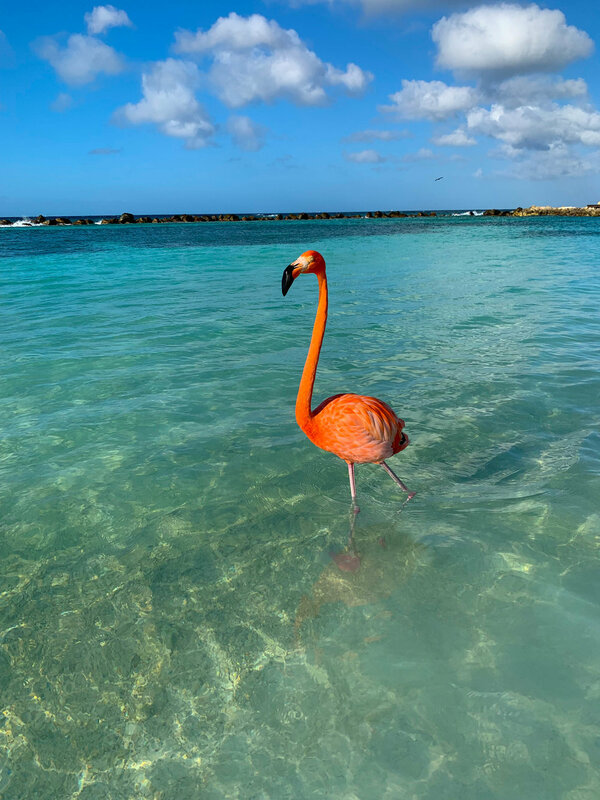 Read our full review on the Renaissance Aruba Resort and Casino and Everything you need to know about Flamingo Beach. Booking: We took a 4 hour UTV Tour around the island with Around Aruba Tours. It was $180 for the 2 of us. The Hyatt Regency concierge was able to book the afternoon tour for us. They also offer ATV tours and Jeep tours too! Note: An ATV is for one person, the UTVs hold 2-4 people. The driver should be at least 18 years old with a valid driving license while the minimum age for the passengers is set at 6 years. 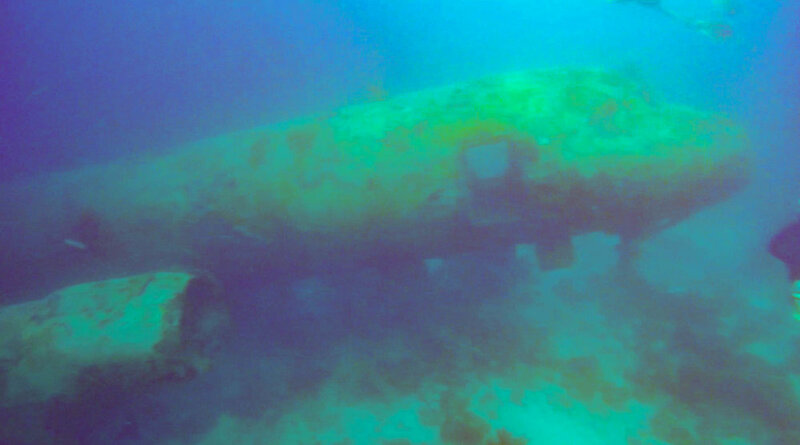 There is so much to see underwater in Aruba! 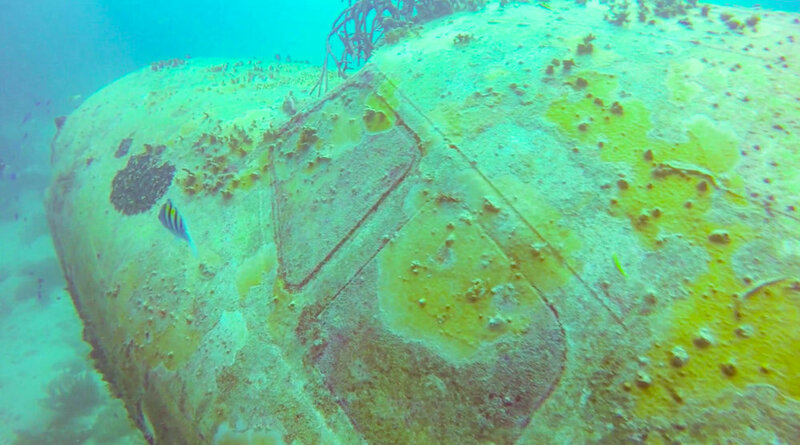 Not only are there ship wrecks to see, there are airplanes below! We went with Aqua Windies Dive Shop, who had very experienced divers giving us a chance to see some fish in the most vibrant coral reefs! 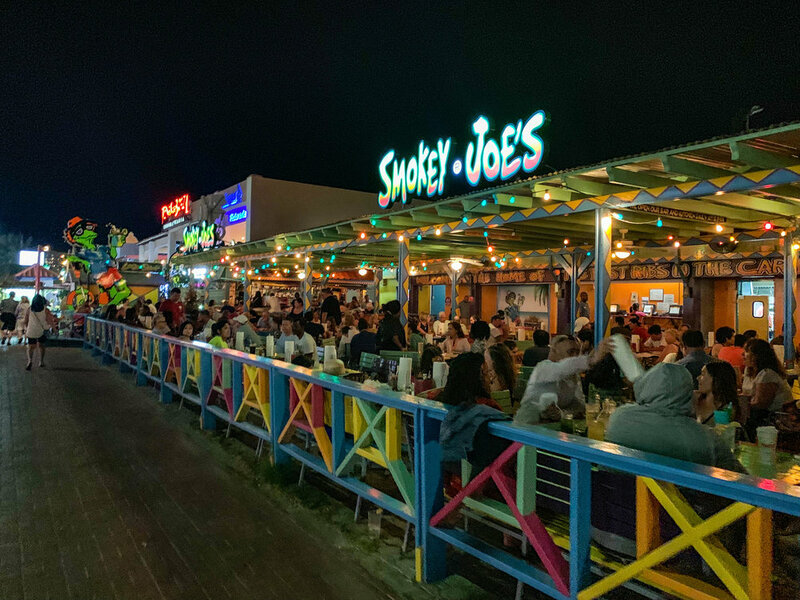 Looking for the perfect breakfast spot in Aruba? Dushi bagels is your spot! The price was right for our meals and the service was quick. There was a bit of a wait so we just ate at the bar. They also offer to go options if you’re in a hurry! 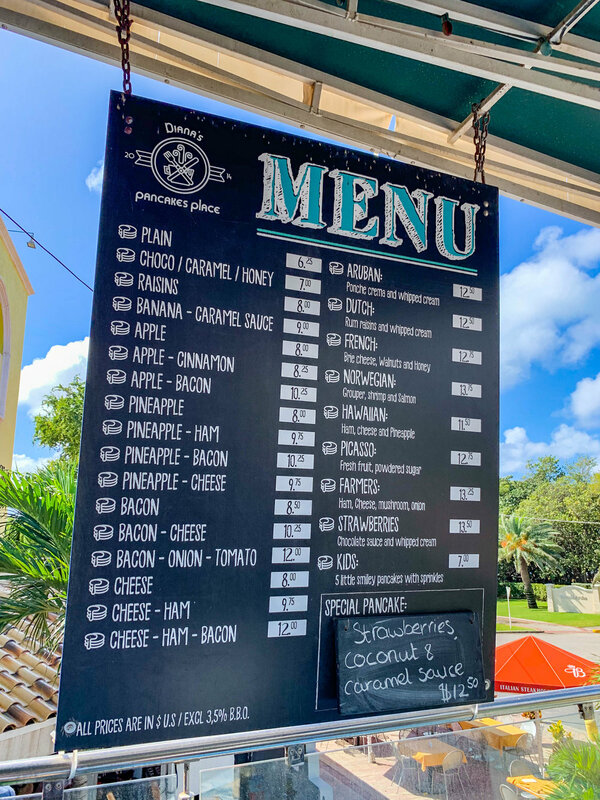 There was an extensive menu of great American breakfast food options, we enjoyed a breakfast burrito with ham, french toast, and delicious hash browns. 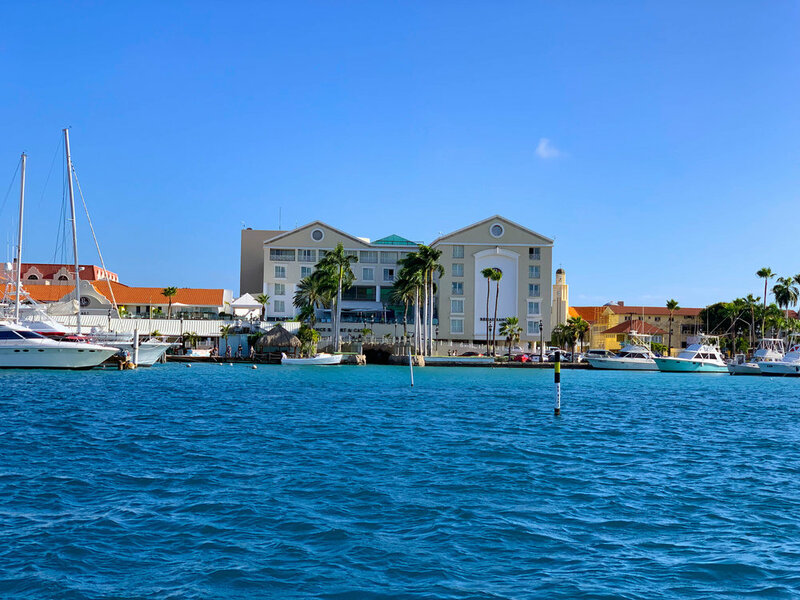 Diana’s Pancake House is located by hotel row and across from the Hyatt, above the I Love Aruba store. Dutch pancakes are served as one pancake on a large plate with whatever ingredients you desire from the menu. The pancakes were bigger than my face! I went with the Hawaiian (ham, cheese, and pineapple) and Josh had the Apple Cinnamon. They were good, but we weren’t planning on going back every morning. The Pelican Nest was built over the water with gorgeous aqua water views one all sides! Most specialty dishes are fish centered. We had a late lunch and had a delicious chicken sandwich and happy hour drinks in the bar! On Tuesday and Thursday you can get all you can eat ribs! They claim they are “the best ribs in the Caribbean.” The ribs were actually really good, and we got some chicken wings as well. The service was really slow, but we weren’t in a rush, just hungry! Most of the food was American cuisine and very filling! I saw the Pink Iguana drink on the menu and it was everything I wanted. It was like a Miami vice or lava flow, filled with coconut cream, rum and strawberries! For dessert, we tried the OREO SURPRISE with fried oreos and vanilla ice cream. Nothing was left behind. We also enjoyed a delicious breakfast here with many American breakfast options (coffee was great too). 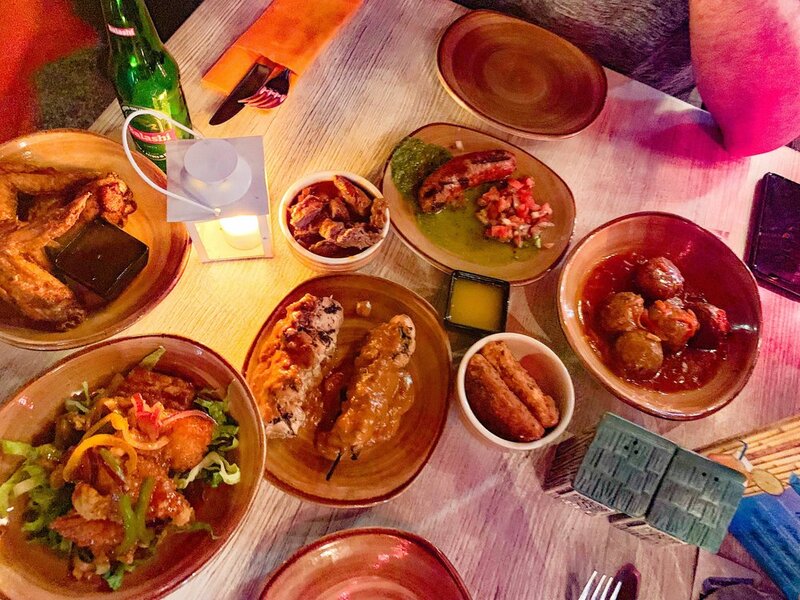 We made a reservation about a month in advance at Sunset Grille, located in the Hilton Aruba Resort among the various hotels along the beach. 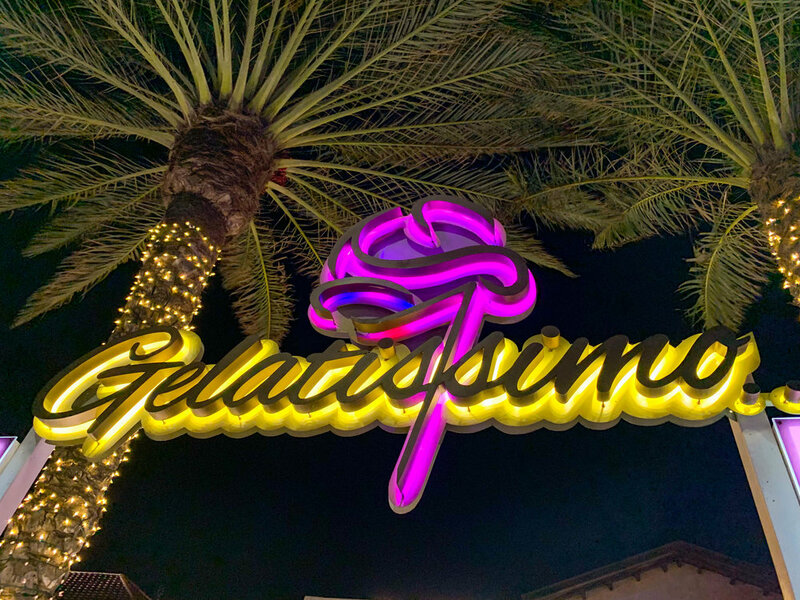 We sat outside to enjoy the sunset while at the Sunset Grille! I had a mouth watering Filet Mignon and Josh ordered the Cowboy Bone-in Rib Eye. For sides, we tried the Garlic mashed potatoes and Gouda Cheese Croquettes. The croquettes were little balls of cheese and potato heaven. SO GOOD. 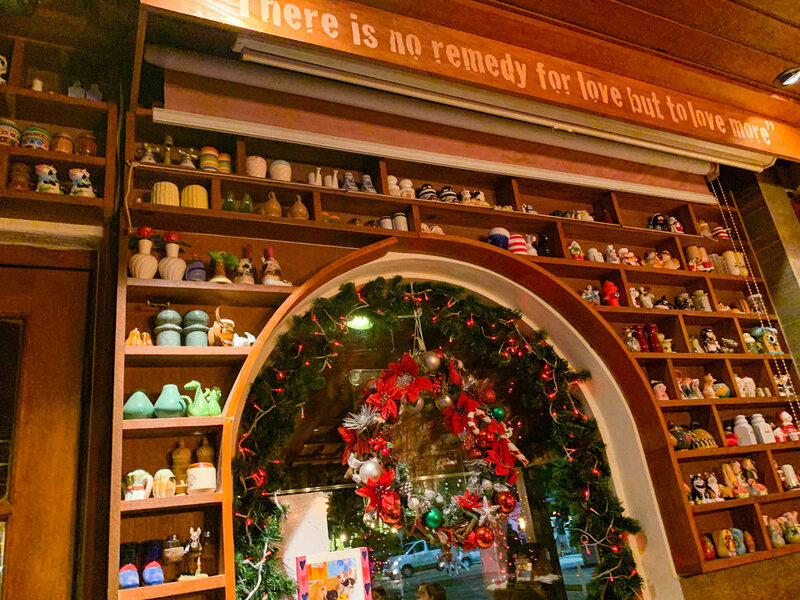 This place was so charming! 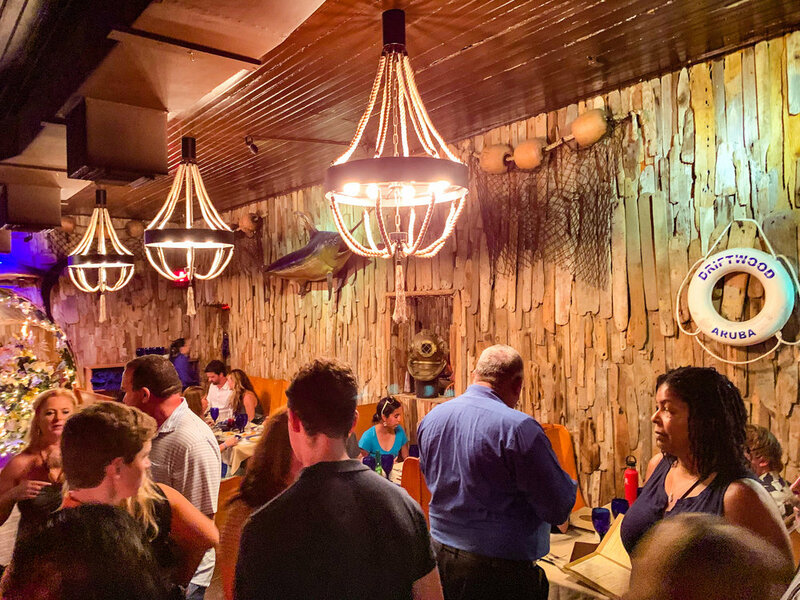 The walls were plastered with driftwood and it felt like a being on a ship with steering wheels as lamps (minus the sea sickness)! I ordered the chicken with tropical citrus sauce and wish I had the recipe for that sauce! Josh tried the Aruban meal - fresh catch of the day with potato and veggies. Although the presentation of the meal was underwhelming, the food quality was spectacular. 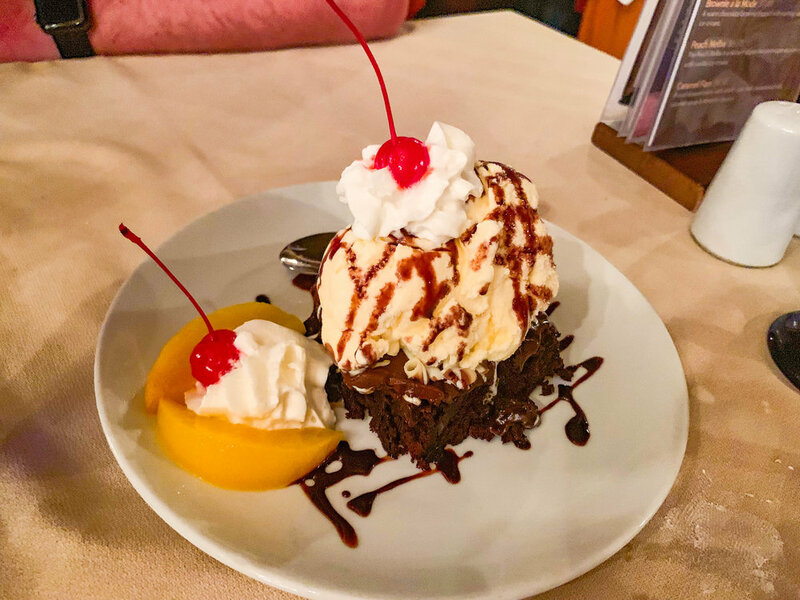 For dessert, we ordered the Brownie a la mode and it was perfection! We went exploring inland where we saw shops and restaurants on our drive in. 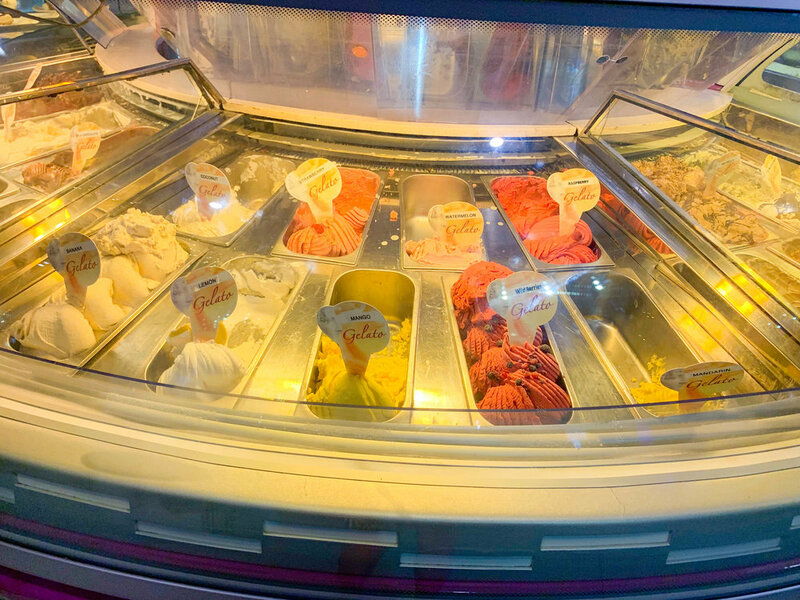 Of course we had to find some ice cream and we came across some delicious gelato at Gelatissimo! They had any flavor of gelato you could imagine. There was something for everyone to enjoy. I went with a waffle cone trying the Stracciatella (chocolate chip) and Nutella (chocolate hazelnut).